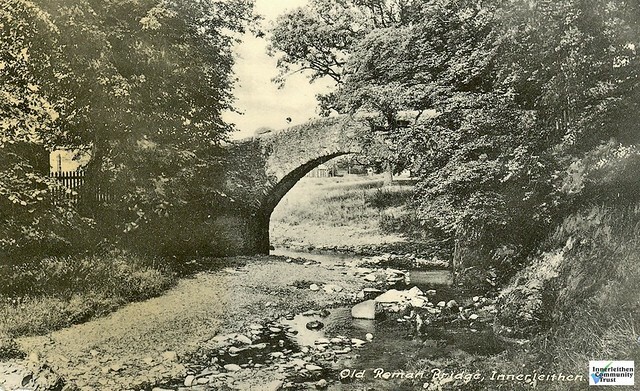 The Cuddy Brig was built in 1701 so parishioners on the east side of Leithen Water could attend their church at the Kirklands dry-shod and when the river was could not be forded during a spate. 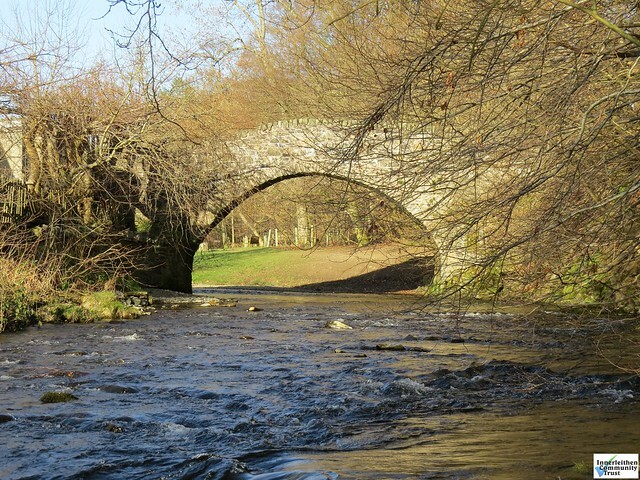 Before the coming of the turnpike road in 1775 this picturesque bridge was a valuable crossing point on the hill route to Peebles, which continued across the Green, up the Strip and over by Glenormiston to the Dirtpot below Nether Horsburgh. Forever the subject of photographers and artists, the Cuddy Brig provides foot access to Pirn Wood (the Backs) and Pirn Hill Fort (Windy Knowe).